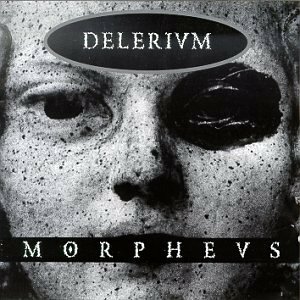 From the late 1980’s, Morpheus is a dark ambient mostly instrumental album with an industrial feel. This might be described by saying it could be what you get if you put Nine Inch Nails in a blender with Suspended Memories. Sound fx and very electronic sounding drum machines and bass synth fill most of the tracks. Overall the inclusion of more samples of people talking might make this album less game friendly than the previous album, Faces, Forms, and Illusions. The more heavily electronic tracks are “Gaza”, “Requiem”, “Faith”, “Coup De Tat” (which has male vocals on it), “Veracity”, and “Allurance”. Tracks that lack percussion and are more ambient are “Morpheus”, “Temple of Fight”, and “Fragments of Fear”.